Found 19 file extension associations related to DirectX and 18 file formats developed specifically for use with DirectX. Microsoft DirectX is a collection of industry-leading graphics technologies designed to deliver the most advanced, stable, and visually impressive graphics experience on Microsoft platforms. 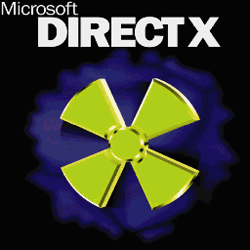 DirectX is comprised of best-in-breed runtime technologies, developer tools, graphics programming interfaces and languages. The DirectX standard is supported by a wide variety of consumer and workstation-class graphics software and hardware solutions. If you need more information please contact the developers of DirectX (Microsoft Corporation), or check out their product website.